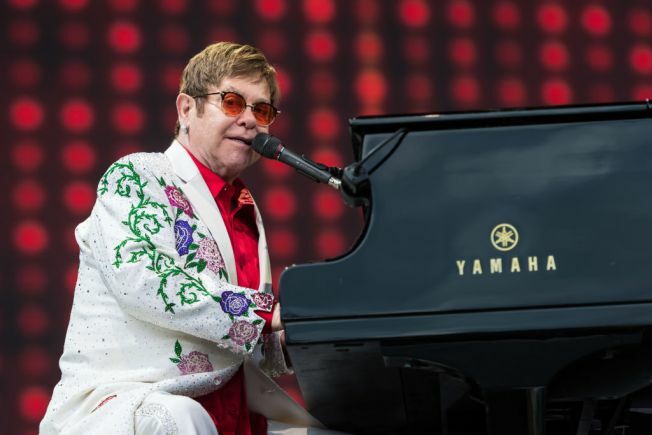 "I guess that's why they call it the blues": On Wednesday morning, Elton John, the legendary English pianist/composer/singer, announced his retirement from touring -- following one last farewell jaunt that'll span 300 shows, five continents and the next three years. During a New York press conference from Gotham Hall moderated by Anderson Cooper, John said: "I'm not going to be touring anymore ... My priorities have changed. I have young children. That doesn't mean I won't still be creative, but I won't travel any more ... I don't want to go out with a whimper. I want to go out with a bang ... It'll be the most produced, fantastic show I've ever done." Dubbed the Farewell Yellow Brick Road Tour, it's set to kick off at PPL Center in Allentown, Pennsylvania on Sept. 8, and make its way through San Diego on Jan. 29, 2019, with a stop at Valley View Casino Center, before continuing on around the world and wrapping up in 2021. It's not the first time John has claimed he was going to quit touring. In 1977, he told a London crowd "I've made a decision tonight that this is going to be the last show. There's a lot more to me than playing on the road and this is the last one I'm going to do." Two years later though, he was back at it. And he's kept up a steady schedule of live performances since. However, Wednesday's announcement seems to be the final word. "I'm not Cher," he said. "I'm 71. I can't physically do the traveling anymore. I want to be at home. I really want to spend time with my children at home. I've had an incredible life, but life is all about change." Various pre-sales for the North American leg of the tour begin on Thursday, Jan. 25 at 10 a.m. here. Tickets for the general public go on sale Friday, Feb. 2, 2018 here. For more information, visit eltonjohn.com.